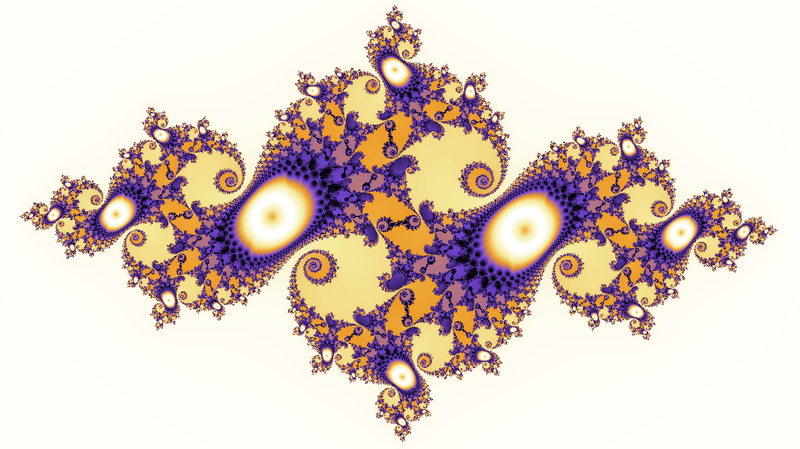 After a maths lesson introducing fractals, I wrote a program to explore and display Julia Set fractals and the Mandelbrot set. I wrote it in the OpenGL Shading Language, which means it runs on a computer’s graphics card, and so is fast enough to interactively generate fractals. Fractals are shapes which are self-similar at different scales; they appear to contain smaller copies of themselves or similar shapes. In addition to being found in mathematics, they are also found in nature. 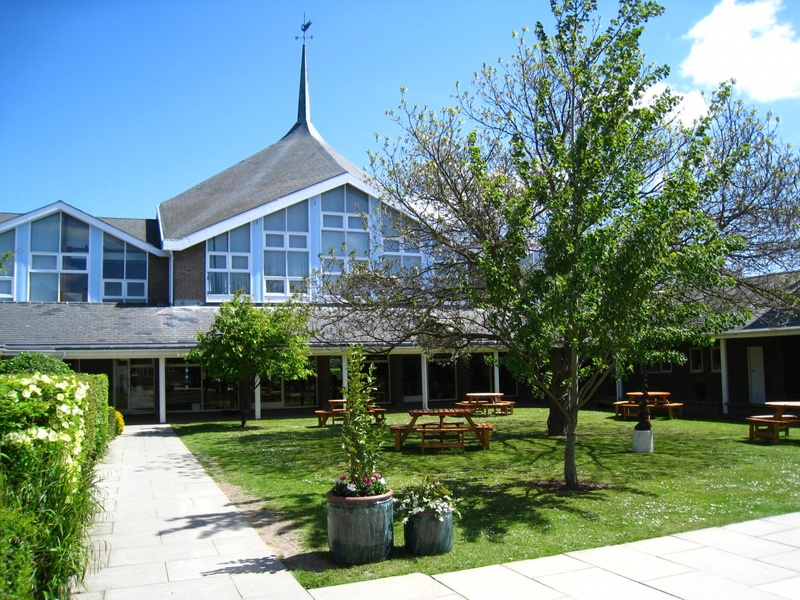 For example, the branches of a tree look similar to the trunk, and the twigs on the branches look similar to the branches. 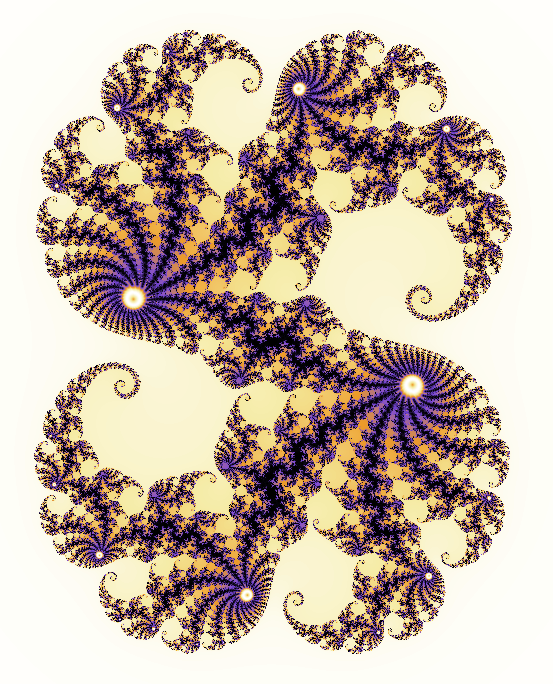 Julia set fractals are one of the most famous types of mathematical fractals. Every point on the related Mandelbrot set is associated with a corresponding Julia set, which tends to look similar to that area of the Mandelbrot set. 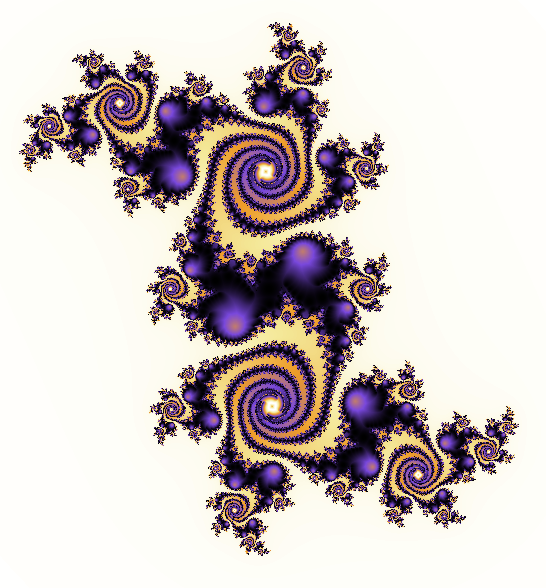 This means the Mandelbrot set can be used to explore different Julia sets.